On the NASA Instagram feed, they've posted a photograph that they claim is of the planet Pluto, photographed by the New Horizons spacecraft. Given that NASA is well-known in this forum for its media fakery, I wondered if any of you had any thoughts about it. At first glance, it looks impressive, and unlike any other photo of a planet I've seen. But after looking at it for a while, I couldn't help but think it resembles an old rubber ball -- or a larger version of same -- smeared with paint and dirt. It doesn't look digital to me at first glance, but it's hard to tell with such a low-quality "preview" image. To my eye, it looks like an art project, not a real planet. Vext Lynchpin wrote: To my eye, it looks like an art project, not a real planet. No kidding? Must be real then. I've seen that kind of thing before with NASA and other authorities. Hiding the truth in plain sight as a joke. I'd just like to point out I'm surprised no one has commented yet on the rim lighting. I wonder what's powering the kicker light. I hate to give NASA clues on how to improve their realism but I don't think it's by sepia toning them. Those look really funny. I guess there just weren't stars in that area, too? No offence, but are you sure somebody hasn't mistaken NASA for the NDSA (National Down Syndrome Assoc.) ? "Spacecraft" that can travel to the ends of the galaxy yet can only take one lousy polaroid image of a planet? How was this "image" taken then sent back to earth, a mere 5 billion miles, and how was it received? I'll tell you how! Some clown made it in Blender on day one of a Course for Beginners. In an interesting (and I think unprecedented) development, the UK's lead MSM printed free newspaper has a Pluto planet article in it....which claims to focus upon what it calls 'conspiracy theorists'. I do need to confirm that their online piece dated/timed Wednesday 15 Jul 2015 9:36 pm is actually being included in their printed edition- it should be practical to do, since the newspaper is printed in millions of copies, and distributed to offices, passenger rail and aviation seated areas, fast food outlets etc. It is a popular free paper with a lot of mid-demographic commercial advertising, and is possible to be considered as being a key herd opinion-former. Signigicantly perhaps, the article (whilst doing the standard discreditation and dismissive fun-poking) contrasts two ends of the disinfo continuum. One is a few screen-shots of SFW-but-rabid forum jousting from some standard online source. The other main element is an unusually-calm offering from the Youtube channel of the Crow 'Moon ripple/hologram' guy, wherein he does a fairly incontestable, simple comparison between his own supposed backyard pro-am backyard astronomical pictures, and the (relatively lower-res) pictures ostensibly taken by a spacecraft during a flyby approach (and prior to this latest ball-shot).. This gets into the realms of potential double disinfo, with probable shill content being overtly pilloried by the MSM, but, there being some elements of possible debunk merit included within. 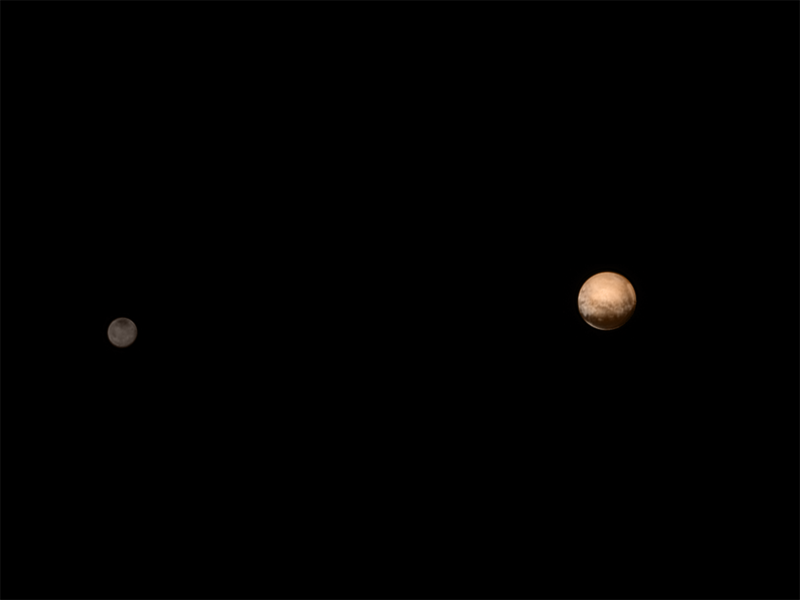 You see these awesome, first ever up-close images of Pluto and its moon? Yeah, they’re all fake. Every last one of them. According to conspiracy theorists, that is. The human race made history with NASA’s flyby of our solar systems dwarf planet. But such an achievement wouldn’t be the same without someone p****** all over the parade with their anti-life urine. The Metro newspaper tends to project a supra-tabloid style, so this demotic shorthand is not unusual. In time-honoured sequence, the article becomes more reverential and calm in it's format, closing with conventional reporting of unquestioned 'real' pictures of Mission Control joyous raptures. This looks a lot like left-hand/right-hand conjuring, within a 'trust us, we're truly true' context....but, in essence all just a confection of nonsense, intended to reassure/lampoon/divert attention. Alas, definitive proof of extraterrestrial life! Damn, I didn’t know you dabbled in astrobiology anonjedi2. Don’t forget us little people in your Nobel Prize acceptance speech. hoi.polloi wrote: Those look really funny. I guess there just weren't stars in that area, too? Don't worry Hoi, National Geographic has provided a helpful 'superimposition'. simonshack wrote: Allright folks - here we go... Time to dust off our laser guns ! 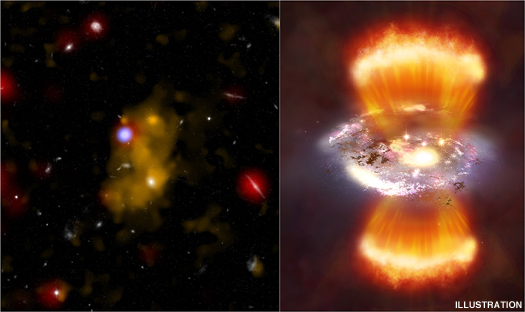 "The scientists studied the energy of these bursts and concluded that they originate from an extreme astrophysical event involving relativistic objects such as neutron stars or black holes." "Relativistic objects"!! - no less ! ...and today, in Italy, it is sold as "Big News from NASA" - with our hero Parmitano ready for action! Misteriosi lampi di onde radio, intercettate dagli scienziati per la prima volta nella storia al di fuori della nostra galassia. L'origine di questi eventi, per ora, inspiegabili risalirebbe addirittura a undici miliardi di anni luce di distanza dalla Terra. Le ipotesi sul campo sono molte. Su una cosa sono tutti d'accordo: "Arrivano da un evento incredibile, in grado di produrre un'energia enorme"
"Chandra e anche il satellite Spitzer per l' infrarosso hanno osservato ventinove «blobs», estesi ciascuno parecchie centinaia di migliaia di anniluce (per confronto il diametro della nostra Via lattea è circa centomila anniluce) in una vasta zona di cielo e si trovano a una distanza di circa 11 miliardi di anni luce da noi (...)"
OMG - all this is sooo terrifying ! icarusinbound wrote: In an interesting (and I think unprecedented) development, the UK's lead MSM printed free newspaper has a Pluto planet article in it....which claims to focus upon what it calls 'conspiracy theorists'. 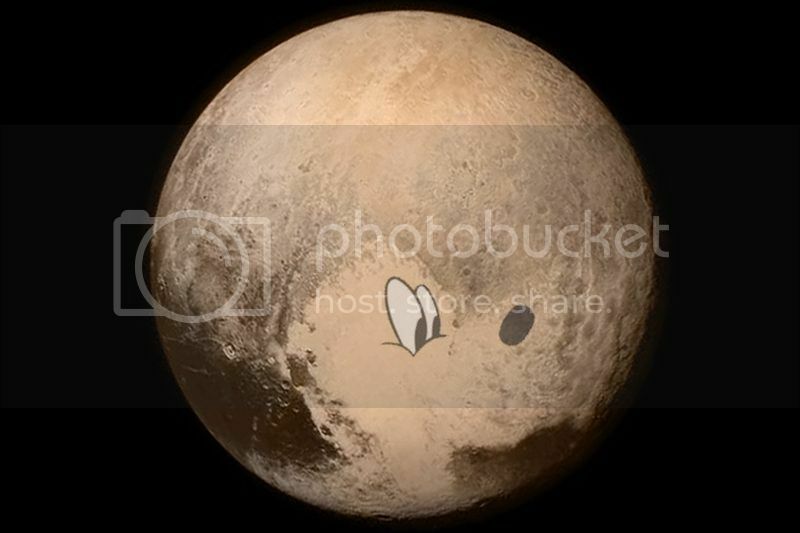 Let the Pluto conspiracy theories begin! Internet erupts with claims that New Horizons visit is the 'biggest lie in history'. Shock horror... some people don't immediately accept 'expert' opinion & odd photo's without asking some questions! Are women the key to solving CLIMATE CHANGE? Females produce less pollution than men when travelling, study reveals. To be perfectly frank with articles like this the Daily Mail may actually be helping us win the war in the long run... who can really deny the need for media skepticism with articles (& 'experts') like this roaming the msm? Last edited by Selene on Fri Jul 24, 2015 3:59 am, edited 31 times in total. the comments from the so-called deniers outnumber the comments by the alarmist warm-mongers. Great to point out, arc300, thanks, but "Bex" from "Adelaide" (you'd have to blame the water shortages to anything but the increased use of it in drier climates...) hopefully will be viewed as the stupid troll she is. Galilei was peaking (1610 moons discovery) some 70 years (~3 generations back then...) after Copernicus (1543) and Bex is invited to stop participating in this "catastrophic environmental pollution"; just quit breathing. No, not literally; death wishes are for losers.